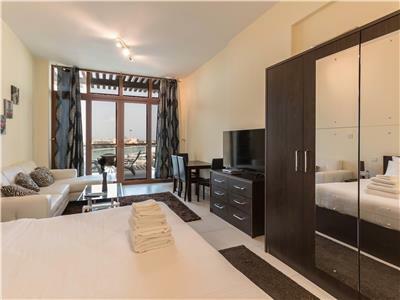 Sailor Studio (Palm Views West) Large Waterfront Palm Jumeirah Studio. 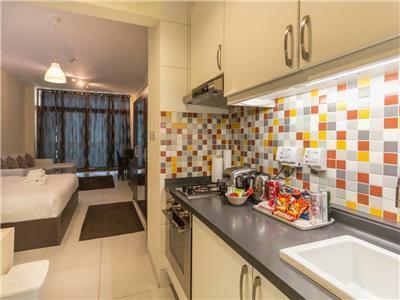 Beautiful spacious studio apartments with direct view of the water and the Palm Jumeirah Mrina. 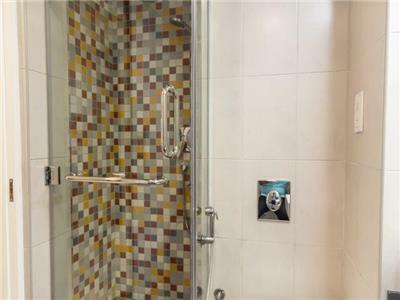 The apartments come with fully equipped kitchens, a modern bathroom with high end finishing quality. 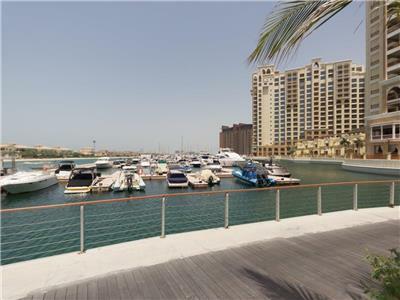 The 540 sqft unit has a large terrace with a full view of the water and Dubai Marina. 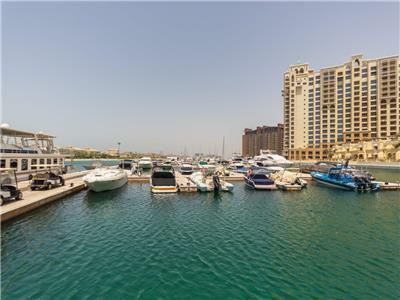 Steps away from the shoreline beach and easy access to Atlantis, one Dubai's must see destinations. 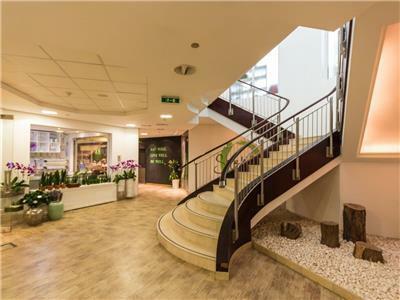 These apartments offer guests a full list of things to do with a very comfortable apartment setting to make their short or long stay an enjoyable one. 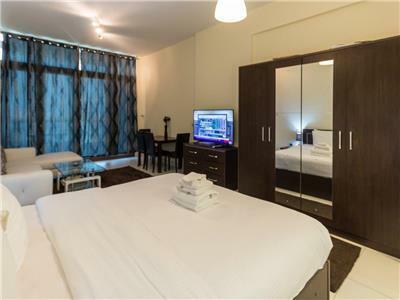 A list of over 200 TV channels, free high speed internet and a maid service with linen and bathroom amenities refreshing are some of the features that will make anyone's stay an enjoyable one. 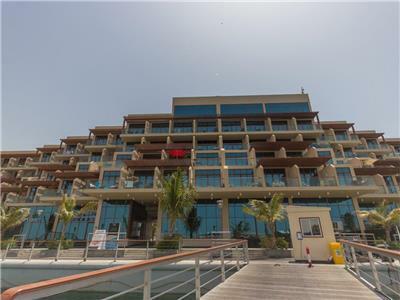 Guests of the Palm Views will be granted access to RIVA, a private beach club 900 meters away from the apartments where they can enjoy access to a private beach on the palm along with a nice selection of food and beverage making anyone's stay in the Palm View apartments as enjoyable as being in one of the many Palm Jumeirah 5 star hotels around. 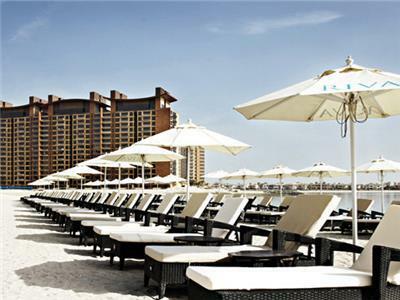 A few kilomiters away on the palm, guests can access the waterpark and other adventures at the Atlantis resort. A must see while on vacation in Dubai. 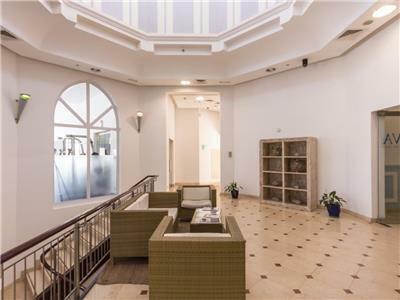 The unique Palm Views development is the ultimate in modern, pied-à-terre style waterfront living. 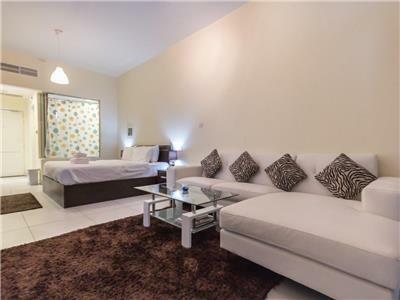 In addition to spectacular views over the 700-berth Palm Marina, the Arabian Gulf and the stunning Dubai skyline, Palm Views residents can enjoy convenient access to Al Ittihad Park and the Nakheel Mall, as well as access to a stylish clubhouse. 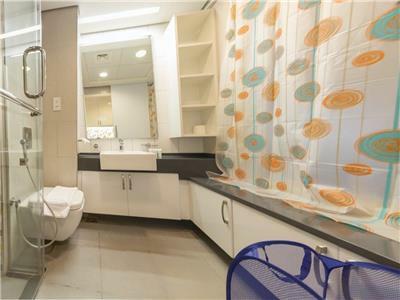 Palm Views residences are superbly designed, constructed to the highest quality and finished with unabashed indulgence. The building one of the nicest fully licensed sports bards on the palm for a chance to watch the games while enjoying your favorite beverage. 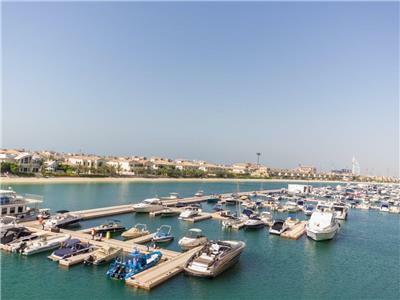 Palm Jumeirah has been described as a wonder of the modern world – a colossal man-made island, formed in the shape of a date palm, stretching more than five kilometres off the coast of Dubai into the clear, calm waters of the Arabian Gulf. 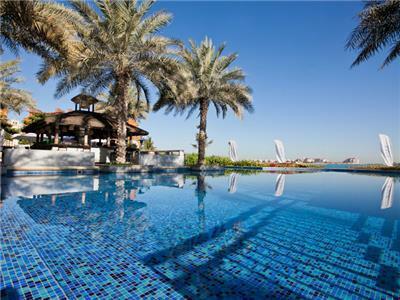 Spectacular waterfront living is at the heart of the Palm Jumeirah ethos. It is already home to some of the world’s most desirable residential properties, as well as a growing collection of the finest five-star hotels and restaurants, unmatched leisure facilities and miles of unspoiled beaches, and the Nakheel Mall and Hotel, to be constructed in 2013, will offer truly world-class shopping, dining and entertainment facilities. 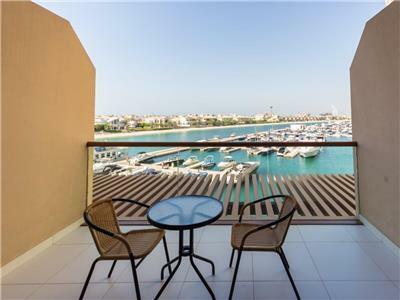 Palm Jumeirah is Dubai’s premier residential development and one of the most sought-after places to live and visit in the world.